Conspiracy theory YouTube channel 'UFOmania' has uploaded a bizarre video showing a shining aircraft hovering in the skies of Perugia, Italy. The narrator of the video revealed that the incident apparently happened on June 07, 2018. The clip is now under the investigation of MUFON (Mutual UFO Network), a non-profit organization which studies UFO sightings across the globe. At first look, we can see that the object spotted in the image has a pyramid-like shape. It has a shiny metallic body and there are some notable curves on its outer surface. After seeing the image, conspiracy theorists have started arguing that this image is a concrete proof of alien life. As per these theorists, alien UFO comes in different shapes to earth which includes, cylindrical, pyramidal and spherical. "Very cool capture! UFO for sure! Close up shows a very intriguing craft. Hmm... We r not alone, indeed," commented Trixie Bell, a YouTube user. Another YouTube user 'SkrAp' shockingly predicted that the UFO sighting in Perugia is an indication of something big which is going to happen there soon. 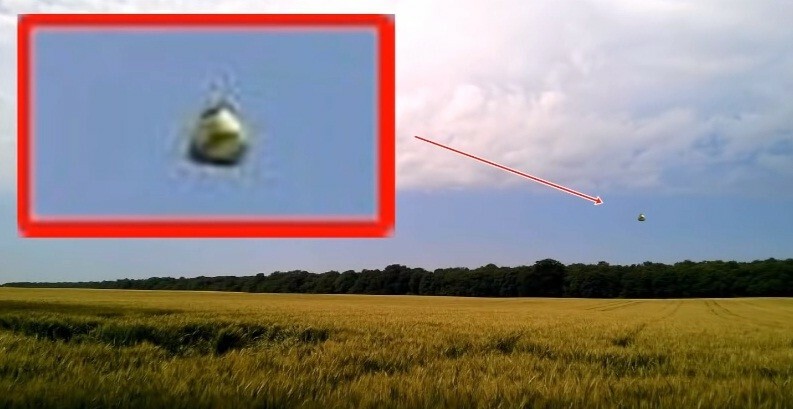 However, skeptics argue that the weird object seen in the image might be a plastic cover fluttering in the air. Some other section of people states that the image might be embedded in the original picture using software like Photoshop. "Discontinuous Line around the object is bad usage photoshop," commented Michal Horsky aka Martin, another YouTuber. Interestingly, on the same day of the Italian UFO sighting, a weird flying object was spotted above the Indian Prime Minister Narendra Modi's residence in Delhi. As the sighting triggered security threats, officials soon initiated a search operation, but nothing suspicious was found. Later, security officials suggested the weird object spotted above Prime Minister's residence might be a low flying drone, which the ATC radar could not detect due to its relatively small size.